Design: This sophisticated case made from PU leather can complete any ensemble, making it a great choice for everyday use. It is perfect for people who want a protective case and wallet in one because of its card slot, display window, and cash pocket features. Protection Features: Crafted to protect the device from damage, this case offers shockproof and anti-scratch protection. It supports better grip to avoid dropping the device when handled with sweaty or wet hands. The inner case is specially made to match the device's dimensions for effective defense against dirt, debris, and dust. Material: This wallet-style cover case is tailored from high-quality PU leather for the exterior and flexible TPU for the inner case. 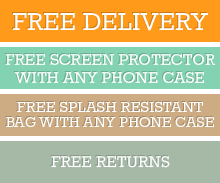 The case is stitched securely to avoid premature damage and wear-and-tear with regular use. The inner case supports easy installation and will maintain its shape with constant use. Click the button below to add the iPhone XR Case Red Sheep Texture Horizontal Flip PU Leather Cover with Display Window, and Card Slots to your wish list.